Set on the harbour-front in the pretty south Cornwall town of Fowey, The Old Quay House is a boutique hideaway offering peace and tranquility in a beautiful setting. For author Veronica Henry, whose latest novel ‘The Long Weekend’ is set against a backdrop of a chic boutique hotel by the sea, The Old Quay House not only provided the inspiration but also the space and time she needed to complete her latest novel. During time spent away from her busy home and family, Veronica watched the comings and goings at the hotel, soaked up the atmosphere of estuary life from the sunny terrace, contemplated the intentions of other guests – and put the finishing touches to her tenth book. Outside the hotel, Fowey itself also proved rich in inspiration, not least because of its own literary history – Daphne du Maurier, one of Veronica’s favourite authors, lived nearby. 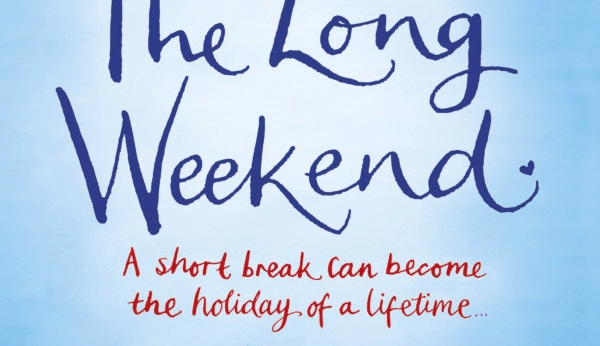 Published by Orion as a paperback original on 5th July and priced at £6.99 (£4.99 eBook), ‘The Long Weekend’ is a perfect summer holiday read, following the staff and guests of a Cornish quay-side hotel over one weekend. From the couple looking for distraction from a family tragedy to a man trying to make amends for an affair he regrets and a young woman in search of the key to her past… a lot can happen in a weekend. The Old Quay House offers luxury accommodation in 11 bedrooms, many with views over the estuary. Prices start from £180 per room per night, based on two adults sharing and including daily breakfast. For information or to book visit www.theoldquayhouse.com or call 01726 833302. To celebrate the book’s launch, we’re running a competition to win a signed copy by Veronica Henry herself. Have you read the book? We’d love to hear your thoughts. Leave your comments below.